This unique sky and earth safari begins at dawn as the open-sided helicopter safari takes flight, offering uninterrupted aerial views across the Delta. Guests can enjoy aerial views of the game rich landscape, abundant with roaming elephants, buffalo, giraffe and zebra, as the sun rises and the wildlife begins a new day. 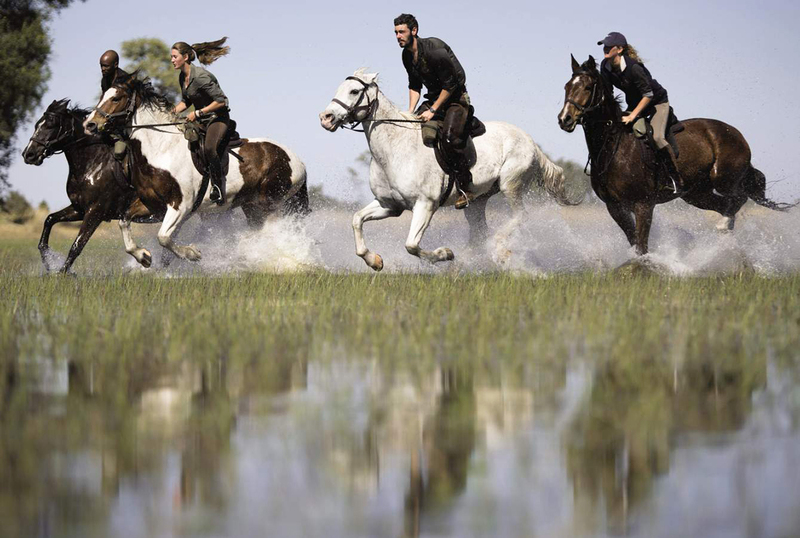 Following the helicopter flight, the safari continues on horse-back, accompanied by a specialised guide who will give a safety briefing before leading a trail through the bush, traversing palm-lined islands, grassy flood plains, mopane forests and clear streams. Belmond Eagle Island Lodge re-opened in November 2015 after an almost total rebuild with a contemporary take on luxe safari style. Positioned on a private island surrounded by river channels and floodplains, the lodge is Botswana’s ultimate water and experience-based safari lodge. The 12 tented guest rooms have walled outdoor showers, a private sundeck with plunge pool and walk-in wardrobe, as well as an over-sized double bed with views to the delta beyond the canvas. Together with Belmond Khwai River Lodge and Belmond Savute Elephant Lodge, both situated in the complementing ecosystem of Northern Botswana, the portfolio offers a truly diverse safari experience that will delight the most seasoned traveller. For queries on the helicopter and horseback safari or to make a booking, please contact Belmond Safaris reservations.